Putting can either be your best friend, or your worst enemy: there’s no in-between. If you get good at it, you’ll see your points plummet. But if your putting is off on a given day, you’ll end up shooting bogies every other hole. 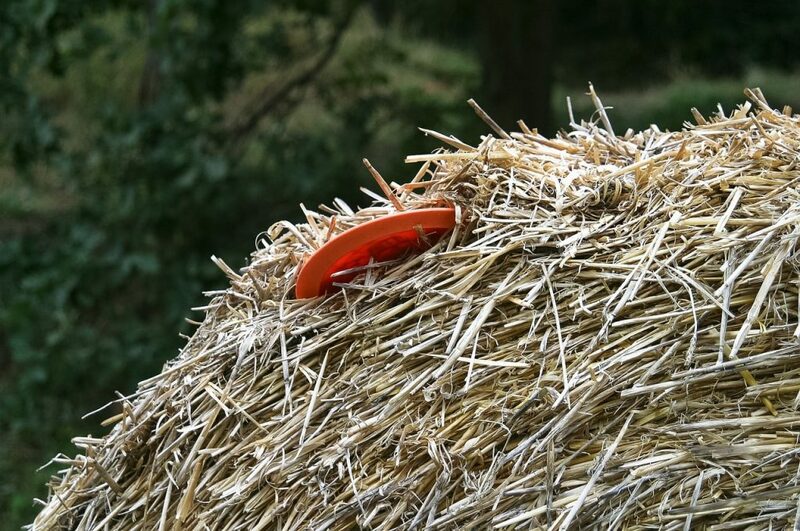 In this guide, we’ve outlined 11 disc golf putting tips to help you improve your shot consistency. Be sure to look at the middle of the basket when making the throw. There’s a reason this advice is so common in nearly all ball sports, including soccer, tennis, and baseball. If you’re looking at the target when you release the disc, this helps you to make a better throw on a subconscious level. Your brain understands what you want to hit, and gives you a little helping hand with your timing. Best of all, it requires little direct effort! Just make sure that you’re actually looking at the basket. This is easier said than done. 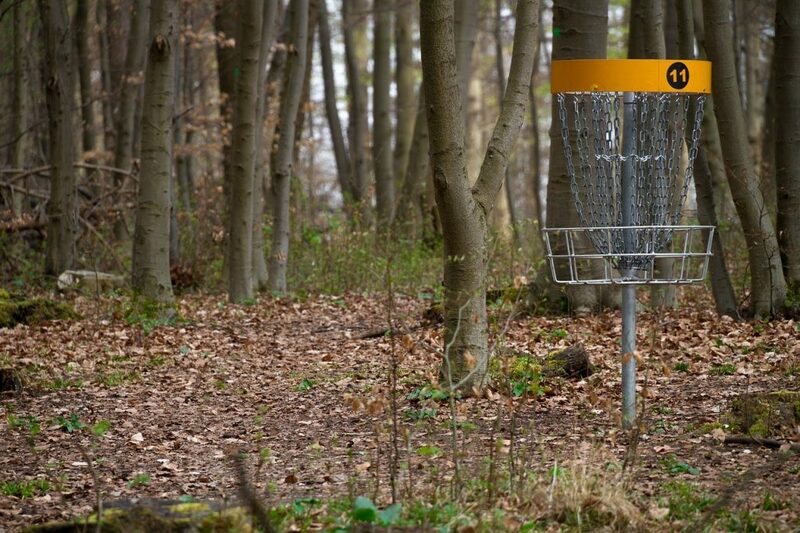 Many disc golfers struggle to focus on their putts due to a number of different factors. Whether it’s background noise, pressure, or stress from non-disc golf stuff, here are some things that can help you focus on your putt. Breath. Taking regular, shallower breaths can help reduce your heart rate and increase your confidence. Obviously you’ve got to intake more oxygen when doing outdoor activities. However, you can try to calm your breathing down a little and avoid irregular breathing patterns to help relieve stress. Sleep. Be sure to get an early night before heading to events. If you struggle to get to sleep before important competitions, try to avoid using your computer/phone in the hour before you hit the hay. The light emitted by electronic devices can disrupt the body’s circadian rhythm, making it harder to fall asleep. Meditate. Can’t say I’ve personally tried this, but it’s certainly helped a number of professional athletes – even Kobe Bryant is a proponent of mindfulness. First of all, check for wind. Pull up a few blades of grass, drop them and see where and how far they travel. Adjust your aim accordingly. Next, consider where you want the disc to fly. Are there any obstacles in the way? How will you work the shot around them? The other thing you need to be aware of is the weather. 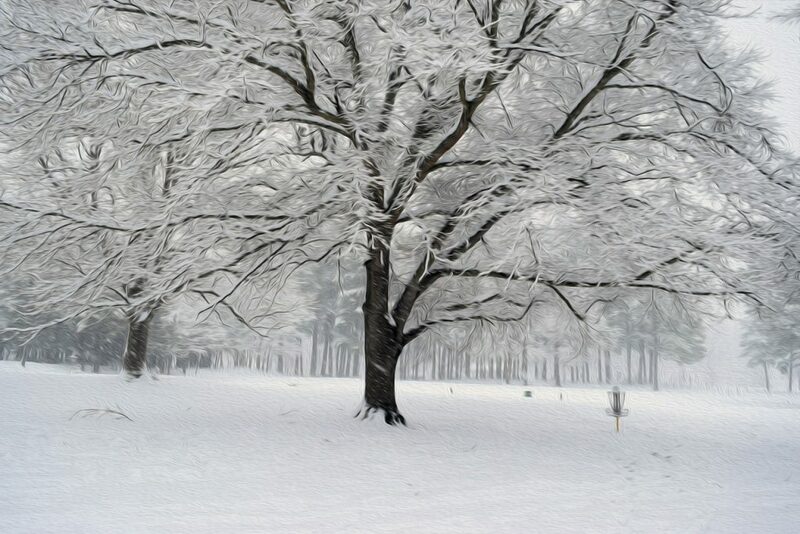 In cold conditions, the air is more dense, meaning your putter won’t glide as far as it otherwise would. Add a little more power to your throws if it’s a little bit frosty. Conversely, if it’s really humid, you should get more glide. No matter whether you’re the only person on the green or if there’s 30 people waiting behind you to throw, you’ve got to take all the time you need. This goes back to the mindfulness we’ve discussed above. If you’re focusing too much on what others think of you/your putting technique, this is something that needs to be resolved. Most serious players putt with a straddle stance, whereby they stand with their toes pointing at the basket. However, consider going back to basics if this isn’t working for you. Plenty of pros still use spin putting and push putting with a staggered stance in high-level tournaments. This tip sort of contradicts nearly all of the other advice we’ve given in this piece. But hear us out. Every time you adjust something in your technique – no matter how small – it takes a long time to get used to. If you’re changing things for change’s sake all the time, you’re never going to improve. The trick is to understand why you’re changing something (like your stance or your discs). This helps you to have the confidence to go through with the change and stick with it if you’re struggling. Disc golfers are a friendly bunch. Chances are if you’re struggling with your putts, there’s someone out there who’s overcome a similar problem in the past. Try to strike up a conversation with one of the senseis who frequents the local course. Generally, experienced players love to share their putting wisdom, especially if you ask nicely. Just remember though, not all advice is good advice. If someone tells you to completely overhaul what’s normally a pretty decent technique, it might be worth getting a second opinion. This is particularly important when you’ve got obstacles and environmental factors to consider (like wind). Before throwing your disc, make sure you have an understanding of where you want it to go (the basket, obviously), and how it’ll get there. Will it fly straight, or curve a little? Are you going to use a light throw, or go for full power? Why does this matter? If you don’t know exactly how you’re going to make the putt, you won’t know what you need to do to make the throw happen. By knowing what you’re doing, you’re able to completely commit to the shot, ensuring you don’t second-guess yourself and mess up the putt. Choosing putters is more like finding a wedding dress than buying a pair of shorts. You’ve got to find the discs that just feel “right” to you, and no-one else’s opinion really matters. If you can, try out a few friends’ putters, see which ones feel great to use, and buy something similar. Don’t be afraid to use really cheap discs – as long as they feel nice to throw, the price doesn’t really matter all that much. Half the time, it’s actually the approach shot that makes the putt so difficult. If you frequently find yourself in tough short-range situations, consider playing more conservatively on the fairway. Go for the safer approach shot to give yourself an easier putt. Try to diversify your range of strokes a little if you can – this’ll give you the flexibility to navigate obstacles near the green. Duh! Of course practice makes you a better putter. To get that extra edge though, you’ve got to go that one step further. 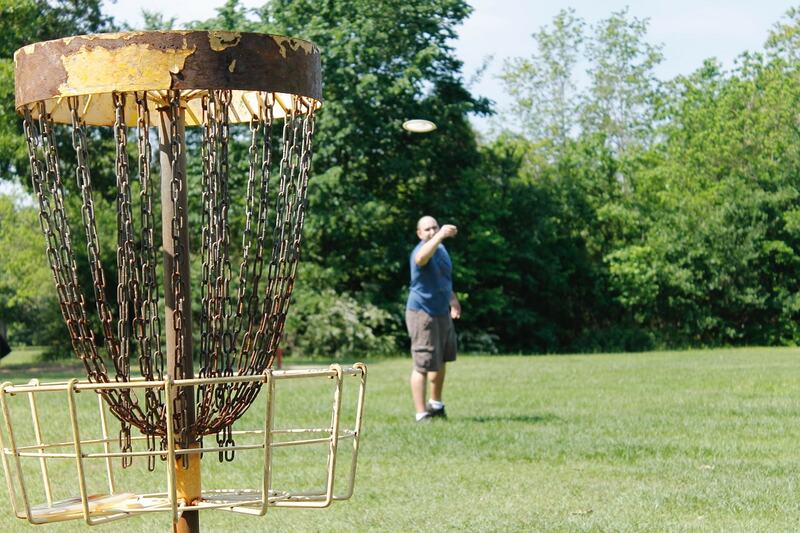 Consider scattering a few disc golf baskets around the yard, and try a few putts whenever you get the chance. Failing that, spend a couple hours in the park each week with a portable basket (unless you’re lucky enough to have a course nearby). Make sure that your training regime mirrors what you face in-game. Meaning, don’t just throw the same easy putt ten times in a row. 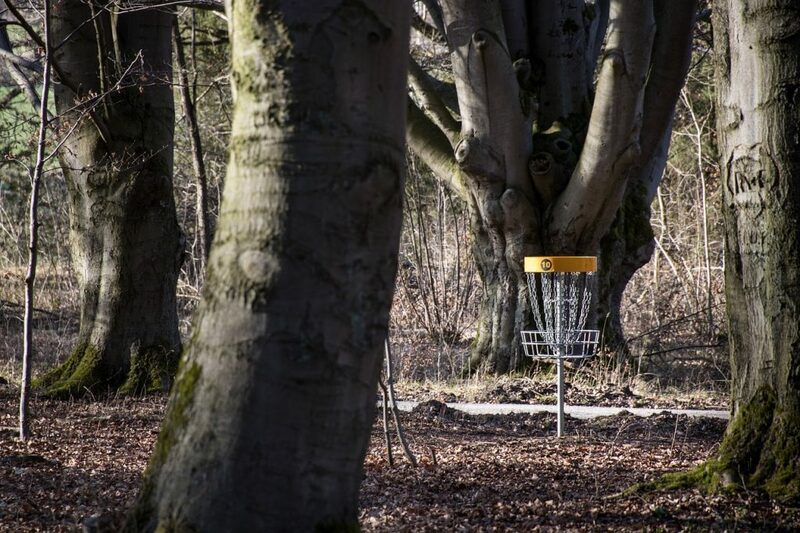 Hide behind trees, increase your distance, and practice when it’s really windy to push your putting skills to the max. Hopefully this guide was helpful! Got any tips you’d love to share? 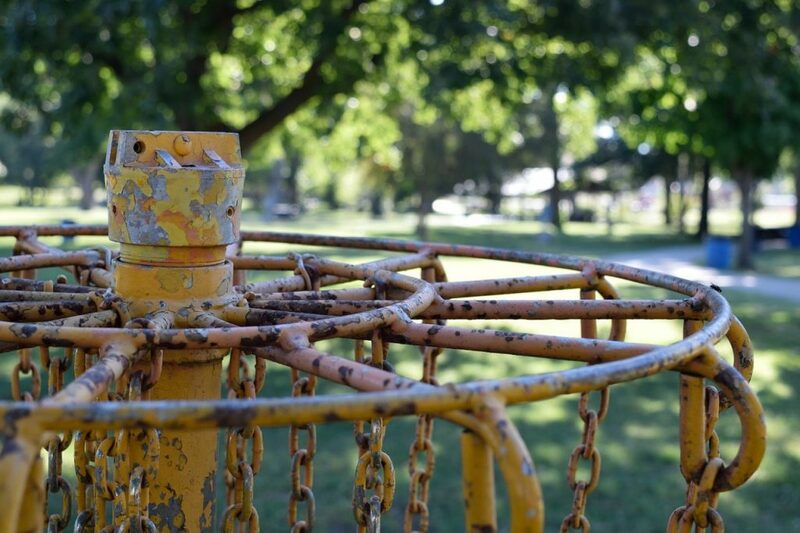 Hit us up in the comments below – we’re always on the lookout for disc golf wisdom!